1 x 7 1/2 x 2 in. 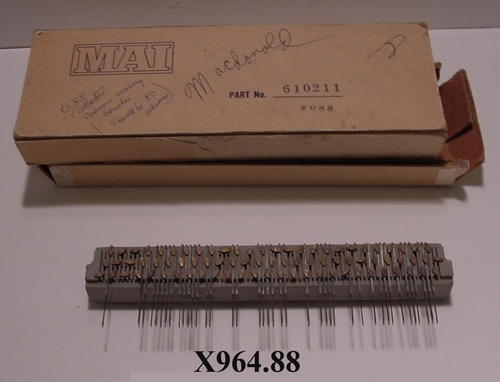 Written on top of box: "088 Collator Column Sensing Brushes MacDonald". Written on back of box: "Parker House 227 8600"